Nit-picker is nit-picky: “Friday, May 29, 7:00 pm”? I am hoping you mean *Wednesday*, May 29th, because it is easier for me to finagle a mid-week business trip to the Raleigh office than one that includes a Friday night. I strongly suspect May 30th is not a Saturday as well :-). Good heavens, that’s a lot of stops. I begin to suspect that your are drawing extra energy from the heat of a dying star. I’m happy to see you’ll make it to Seattle on this tour. I’ll be there. How long are you sticking around afterwards? That’s the opening day of WisCon! Wait, wait– it will be available as a BOOK in MAY?? Does that mean there are only 8 more episodes to the entire book?! Awww, come on, John!! It can’t be over THAT QUICKLY!!! Tell me you’re working on something else, you… you… PUSHER!! What no New York City, Hartford, or Boston? Considering I live in the Worcester Mass area that would be the ideal location. HINT, HINT! I’ve been keeping up with this series through the Google Play store. Will I be able to replace the 14 episodes with a single ebook when the compilation comes out? If only to satisfy my digital OCD. Nobody ever comes to Boston on book tours. I am disappoint. Rats, it looks like my Atlanta and Houston trips don’t coincide with your stops….totally serious question: if I mail you my Nook will you sign and return it to me (shipping prepaid of course)? Very cool! Glad you’re making it out to Raleigh this tour. Looking forward to it! It is a pity you never make it down here to Louisiana. Crawfish and churros are replacing shrimp and grits as the trendy meal in this culinary paradise. Once again, no love for Colorado! Damn you, Tour Gods! Are you going to be selling signed copies through your friendly local neighborhood bookseller for those of us netizens that aren’t lucky enough to be near a tour stop? Thanks (to both you & Tor) for including Cleveland on the tour!!! Explains why you aren’t coming to DC. Duuuude!!! See you in Lexington, Kentucky, June 5th! Wish you the best – on many of those dates there’s not a whole lot time between events. There are bookstores outside of Chicago and it’s suburbs in Illinois. No, really! Some of them are quite big, even in towns with very large universities in them! And airports, so your author could fly in and out! You should try sending your author to them. Unless, of course, you think having a couple hundred college kids turn up for a book signing is a bad thing. A question for you, kind sir: is this the full itinerary? Or do you think more dates/locations might be added later? Yay! You are coming to Raleigh! Doing a little happy dance! That’s answered in the entry itself. Yay! Mountain View! I’m sure you have already had offers, but if you want to visit Google when you are in town, let me know. No, I don’t work there, my husband does, and he does what I tell him to. Sometimes. When it’s important. Ah, sorry…I missed it the first time, since that paragraph started about San Francisco I skipped to the next. 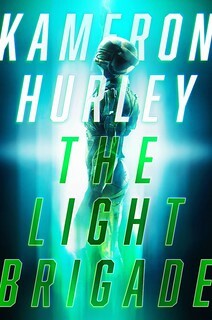 All the dates above are before the official release date, so hardcovers will not be officially available yet. Yay! Looking forward to seeing you in Memphis. Let me know if you need any restaurant/tourist suggestions while you are in town. Have fun, stay safe and I’ll be quietly praying to the “Tor Gods” (good line, btw) that you get sent to Austin or San Antonio sometime in the years to come. 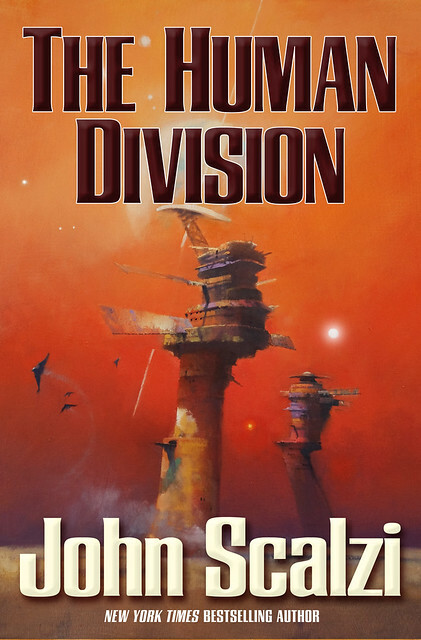 Also, do you have any idea when the paperback version of The Human Division might be released? Not sure why Tor.com had a link to a Star Wars message board post about Phoenix Comicon. Click on my name here for the proper link and to get all the details. If John is not coming near you, you might want to consider a trip to Phoenix to see John and some other authors of note. Shame you’re not coming to Denver (yet again!) but happily I’ll be in Portland at the same time as your Powell’s stop thanks to a tech conference I’m going to. Alrighty, John. I’ll see you in Seattle this time. Missed you the last time you came through, but now that I’ve sent you the requisite amount of crap over the net, obligation demands. As does good manners. Be prepared to sign in invisible ink. I’m wondering what would be an appropriate sacrifice to the Tour Gods to get John back to Canada. Bacon? Churros? Churros wrapped in bacon? I hope that you have fun in the new places but I wish that you coming closer to Birmingham, Al. That said again have a fun and safe book tour! We are so glad to hear from you, and we’re excited that you’ll be visiting us on your next book tour trip. We can meet you at the B-Spot in Woodmere for a great Michael Symon burger, and then pick up munchies for your trip home at Trader Joe’s. Looking forward to your visit! This is kind of a plug, but I think it’s relevant (and I’m sure you’ll delete if you think otherwise). If you have some extra time in Cleveland, you should check out the Cleveland Museum of Art. Not only did they just renovate a new wing, but I worked on the new technology installations in Gallery One. Forty-foot touchscreen, indoor geolocation, facial/gesture recognition interpretive apps, etc…it’s pretty cool stuff, if I may shamelessly say so myself. Finally, an appearance within driving distance! I’ll be making the 3 hour trek to Raleigh. Yay, Raleigh! Though I noticed several other people from Raleigh already commented, which makes me worry about crowds. Oh well, I’ll just have to arrive super early. John, is there anything you’d like guests to bring for you? I know you’re trying to watch your weight and touring makes it hard to do that so probably foodstuffs are out. Anything else…besides hand sanitizer in an attempt to keep you healthy throughout the tour? Question: Do you have a limit for the number of books you’ll sign per person? Would I be imposing if I bought my hardcover copies of Fuzzy Nation and Redshirts to be signed along with the copy of The Human Division I’ll buy at the signing? Man, lots of people excited about your Raleigh appearance. It’s going to be a crowded night. I will be there though. I’ve been hoping to get to one of your signings for a looooong time. I will see you in Portland, the land of legalized Lambada. Too bad about the release date; couple of big-time events right in front of it. I reckon that is true at all times, but when you’re going to actually be at them . . . bummer. I know the book tour gods must be crazy, because Portland -> Madison, WI -> Phoenix is a crazy week of travel. Rats, I get into Chicago on the 29th. OTOH, I saw you there last year so maybe I need to cut back. I am curious — why nothing in the densely-populated and bookstore-rich northeast? Are you covering that region already with convention appearances? Or does Tor figure that part of the country’s got enough customers and it’s the southern/western belt that needs heavy promotion? Shoot. I never expect anyone to come to little old Rocket City, but I had hoped that the Atlanta stop would fall on a Friday or Saturday. Also — Borderlands initially sounded like a great idea (omgnekkidcatz), but isn’t it a bit tiny? Do they have a third space, or shift things around, or …? I had several Northeast stops last tour. Memphis is close enough to where I live to make the trip, and the date works well with my schedule. I’m excited that I’ll have a chance to actually attend one of your appearances! Sadly, this is one of the many sorts of reasons why we can feel very “left out” living in an out of the way place like New Zealand. We do get the occasional book tour by well-known authors – I still have the signed volumes of the first 3 Riftwar books for example (sorry to mention another author’s series! ); but the opportunities are very small. I know you are deliberately not traveling much in 2013, and I can appreciate that; but I’m sure there are legions (well, perhaps dozens!) of loyal fans over here that would love to meet you one year if it was possible…. Looking forward to seeing you in PDX! So, if you were to drive just 7.6 miles south (about 15 minutes or so) when you’re at Mysterious Galaxy in Redondo you’d hit the PV Peninsula. There you’d find a small independent bookstore–which I happen to own–called the Book Frog. Were you to decide to make that detour, perhaps to sign stock informally, I would make sure I had plenty of copies of all your titles in stock. I’ll see you at the Raleigh stop! I am disappointed you’re not coming to the Northeast. But that’s okay! Noty enough money there I suppose. THERE ARE TOWNS YOU’RE NOT COMING TO OH NO OH NO!!!!!1111!!one!!sin²+cos²!! But no twin cities. Not enough money there I suppose. …oh wait. You meant Minneapolis and St. Paul! Never mind. Is it possible to get digitally autographed? Yeah yeah yeah. I know. Absurd. So no Lambada in the Queen City then? Super excited and circling the date already. I’ll be in Seattle, hoping to see you, John, but…I would like to know *who* will be doing the Lambada. Hope I’m able to catch you in Phoenix, which (as mentioned above) should link to http://www.phoenixcomicon.com/. Yay, two stops near me. Where the Lambada is not Forbidden, just laughed at. But why did I have to go to the sidebar to Twitter to see another picture of The Radiant She? Good thing that Woodmere doesn’t have those laws. We’ll be sure to make a video. Are you going to sign the Wall of SF Writers at Powell’s? Or have you already? Okay, I might be a wee bit tipsy after the WSU win, but none of the KC links have you listed. Also, are you actually at the Romantic Times convention? Not so much judgement as confusion. If yes, when/where? Thursday, Saturday, random lurking where I get a signature if I Spot the Author? My pillow does not thank you. It was OK with the screaming, but the gnashing of teeth left the pillow stuffing spread across the room. I won’t whine about your not stopping here because last time you did I was not able to make it. Also wish you came to Louisiana–Cory Doctorow was here last month and he said nice things about you :). The events before San Diego are one-off events separated by a week each, while the majority of the tour dates are one right after the other. So I think of them as individual events, rather than part of the tour proper. We list them as being on the tour simply as a matter of convenience for placing all my schedule appearances into a single list. I have nice things to say about Cory! Oooh! I may have to make the trek up toeQuail Ridge Books in May. I’ll be the one with the red rose in my lapel and carrying an umbrella. Please pass my thanks to the Tour Dieties for sending you to Atlanta. W00t. Will we be able to order signed copies of the book from your local bookstore? I did that with Redshirts and it was nice to be able to have that option since I couldn’t make it to one of your stops. There is no Austin on this list. WOOT! Atlanta and right around the corner from my office! Yay! You’re coming to Madison! I think you will like Room’s lovely new space. Great, I’m free the day you stop in San Diego! You, David Brin, and 10 other authors in one small store on the same day? Wow, that’s going to be crowded. I think if you pushed really hard and everyone exhaled you could fit 60 people into the San Diego Mysterious Galaxy. Still, I’m sure I’ll have the usual great conversations in the line outside the door. I pick up the best reading recommendations there. i hope to catch you in SF or MV. Would we have to buy the book instore to get it signed or can i still keep my pre-order on Amazon? I am very excited/intrigued about this special Borderlands event! I was already planning on going, but now I hope that whatever it is does not fall through. Also, my brother just bought me a Redshirts card game, and I will be bringing it to play. Tour Gods of all kinds hate Florida. Why do I live here again? Tour Gods: When Neil Gaiman did two readings in Alabama both sold out in minutes. We really need some Author love down here! Darn, no stops in Minnesota (Minneapolis/St. Paul) this time. [Shakes fist at tour gods] I pray the lords of book tours might reconsider the immense population of geeks in this Twin Cities area for next time. Travel safe! Looking forward to seeing you in Mountain View. By the way, within a radius of four blocks of Books, Inc. there must be fifty restaurants. None of them In-and-Out, but that’s not far away. Every kind of Asian, several Mediterranean, Mexican, and a bunch more. Well, we were lucky to get you in Boston for “Redshirts”, so I’ll forego the tantrum. But, “dammit”, etc. @Origuy– I STRONGLY recommend the Vietnamese place (which I assume is still there, because how could it not be). Man I wish I lived in Mountain View. While I wish you were coming to my town, I’m happy to see that you’re going to be in Raleigh! I shall begin pestering my Scalzi friends so they attend. nicholeandmaggie: Which one? There are four Vietnamese places in that area. Xanh is probably the one you are thinking of; the others are pho shops. I hope to make it to the Raleigh appearance. 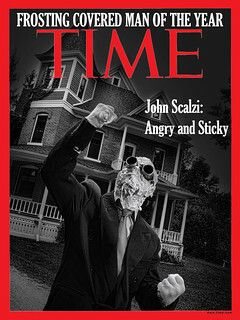 Oh Great Tour Gods – please send the Great and Powerful Scalzi to Florida! Patrick Rothfuss was here in Bradenton (on vacation, but he did do an appearance which managed to scare up over 100 individuals with less than a week’s notice). I believe in my heart we could manage to get quite a crowd for Mr. Scalzi with more notice than that! Dear Tour Gods: New England loves author visits too! Pretty Please sometime?